fix the family – Cloudy With a Chance of Catholic. 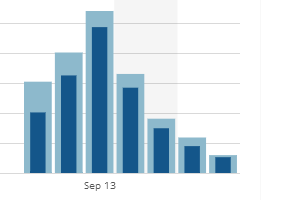 Today, I decided randomly to check my blog stats. Ever since I posted this article, the views and comments on my blog have been booming. It is truly, truly humbling and I thank you from the bottom of my heart. When I read “6 reasons to NOT send your daughter to college,” I was angry. I was sad. I felt hurt. It felt like a personal attack on my sister, my mother, my friends, my cousins, and me. Independent women, many of whom are living devout Catholic lives, who went to school simply for a love of learning. That’s why I’m in school. Because I want to know more. I want to learn about the world I live in, about the people who surround me, about my faith and my Church. I’m not here for a career. I’m majoring in English and Theology, neither of those are in the least bit practical. I believe I am a feminist. I’m against birth control, and abortion, and a lot of other things secular feminists say are “women’s rights,” but I believe that God made men and women equal. Not the same, but equal in their dignity. Everyone deserves an education, regardless of their gender roles. Again, thank you, and God bless you. He will attract the wrong type of women. Ah, college. The home of parties and frat boys. There are so many lazy men in our society, that it’s likely if you send your son to college, he will become a partying frat boy, lazy. Thus, he will attract the wrong type of women. Tsk tsk. He should just stay home and meet a nice girl at his job (Walmart and/or McDonald’s) or church, and they can get married and make lots of babies and he will provide with his income. He will not learn to be a father or husband . Nothing that is taught in a college curriculum is geared toward how to be a good father, husband, or even how to correctly treat a woman. He doesn’t learn about what he was c r e a t e d to do, so why even bother? He will instead learn things like, “work before wife and children” and “money is power”. You don’t want your son to be like that, do you? The cost of a degree is becoming more difficult to recoup. Like anything that is subsidized by the government, the cost of a college degree is inflated. That being the case, it can often be difficult or impossible to get an adequate payoff for the investment. The most common example of that scenario is the job of a school teacher. More commonly now we’re seeing situations where not only is the income not enough to support a family, but many are strapped with student loan debt. Add to that the possibility of not even being able to get a job with the degree and you have economic disaster for a family before they even get started. It could be a near occasion of sin for the parents. In our culture many parents feel an unnecessary obligation to pay for the children’s college tuition. Of course to aid in that there are a host of financial advisers who can set up college investment savings programs for which the government will grant tax favors. So parents may avoid having more children with contraception, sterilization, or illicit use of NFP to bear this cost. To assume that all of our children will need a college degree is quite a stretch, particularly for men who will likely be fathers and can make just enough to get by at Walmart. It could interfere with a religious vocation. According to Corey Huber, President of the Mater Ecclesiae Fund for Vocations, Catholic seminaries and religious orders do not accept candidates who have substantial unpaid debt. He states the average college loan debt today is a staggering $27,029 which takes most graduates a decade or more to pay off. Oh, and if you were wondering, for many of the reasons, I simply changed “girl” to “guy” and “she” to “he”. I also fixed some horrific grammar issues.